The East Asian Society of Endourology (EASE) was established in 2003 to promote advances in minimally invasive urological surgery in East Asia, to educate young endourologists of the member territories and to cultivate and cement friendship among endourologists from member territories including Japan, Korea, Taiwan, China, and Hong Kong. The Philippines subsequently became a member in 2007 and the annual meeting of EASE has been held in one of these territories on a rotational basis. This book was planned and published as one of the activities of EASE. 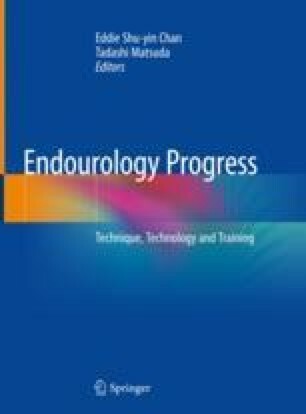 Thanks to innovations in endoscopic technology and surgical technique, together with the activities of the relevant associations and societies in the EASE territories, a variety of endourological, laparoscopic and robotic procedures have been widely disseminated to minimize invasiveness and enhance effectiveness of urological treatments. Drs. Yinghao Sun, Eddie Chan, Hon Ming Wong, Koon Ho Rha, Young Eun Yoon, Joel Aldana, Takahiro Yasui, Saint Shiou-Sheng Chen, produced the data on endourology of East Asian territories.